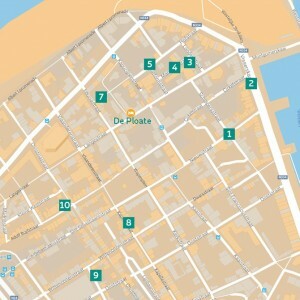 Hostel De Ploate is located at the very heart of the Belgian seaside resort, next to the beach, the shopping area, the finest restaurants and some of the best street art murals in Ostend. 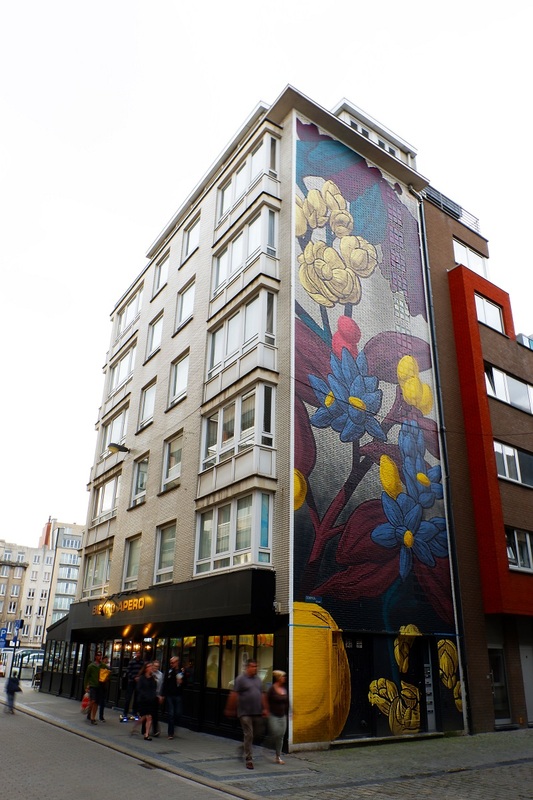 Since 2016, in fact, Ostend has been home to the exceptional urban art festival The Crystal Ship, which brought to the city some of the most renowned street artists from all over the world. 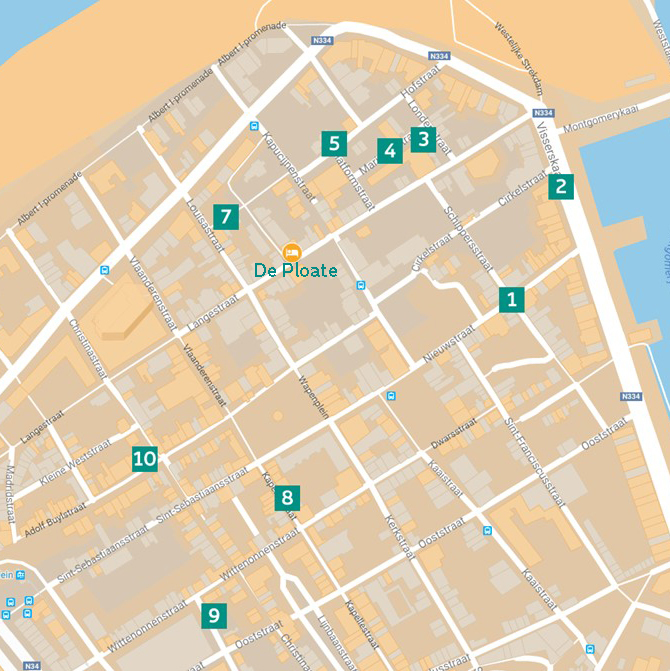 Year after year, Ostend is enriching its amazing public art collection, whose main pieces can be found just around the Hostel De Ploate. Travel & Street Art blogger Giulia Blocal attended the opening weekend of The Crystal Ship 2018 and is happy to share with us her top 10 of murals around the hostel. In Ostend the Argentinian street artist Pastel painted one of his iconic pieces inspired by nature: working with flora, fauna and natural landscapes as social symbolism, Pastel aims at starting a dialogue about the nature of men and his surroundings, and the confrontation between industry and the natural world. 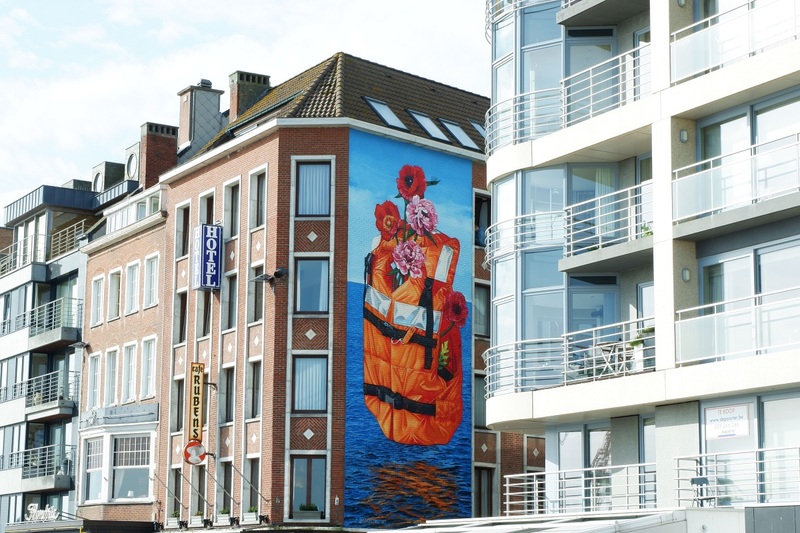 During the latest edition of The Crystal Ship festival, the American street artist Gaia painted a large-scale piece depicting a life vest with red poppies and carnations hovering above the North Sea. Blinking at the nearby sculpture “Seamen’s Memorial” by Willy Kreitz, this artwork should make us think about contemporary issues such as migration and the failure of modern society’s liberal policies. 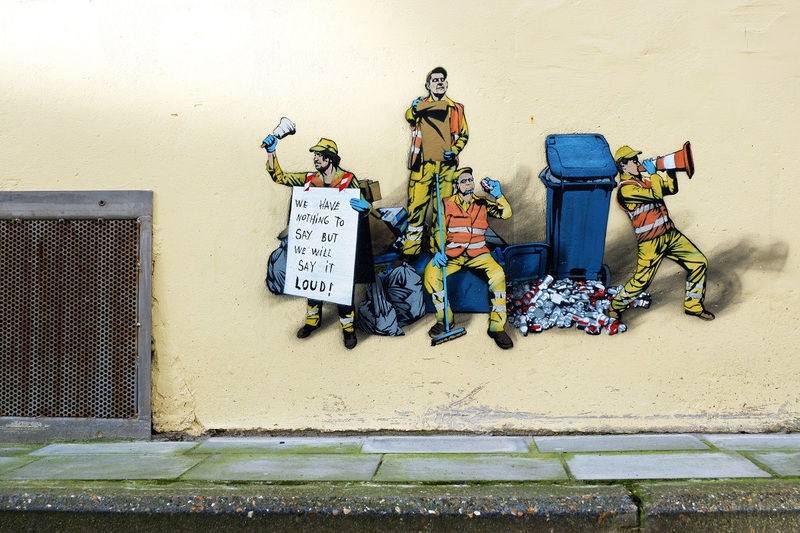 The piece painted by the London-based artist Ben Slow is –with no doubts- one of the best artworks of the latest edition of The Crystal Ship festival. 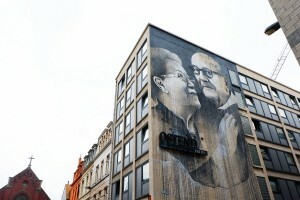 This large-scale, black and white mural depicts Jean and Jeanette, a local couple that have been married for 53 years. A sweet yet powerful homage to true, everlasting love. 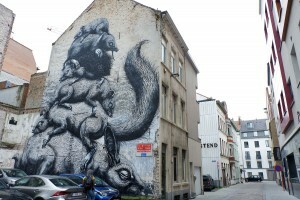 The iconic monochrome, highly detailed creatures of this artist from Ghent are painted on walls all around the world. Everywhere he goes, ROA paints animals that reflect the community and the city where he is working. 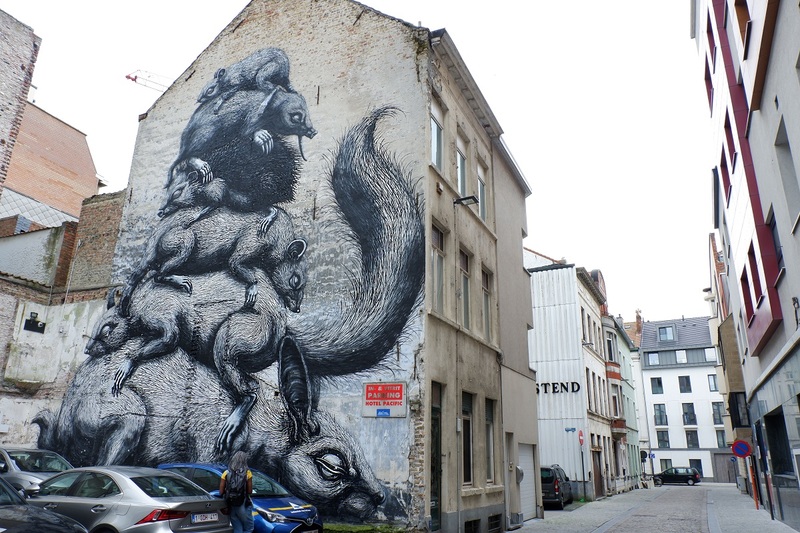 In the Belgian city of Ostend he painted a pyramid of sleeping rodents featuring a rabbit, a squirrel, a chipmunk, a hedgehog, a mole and a mouse. 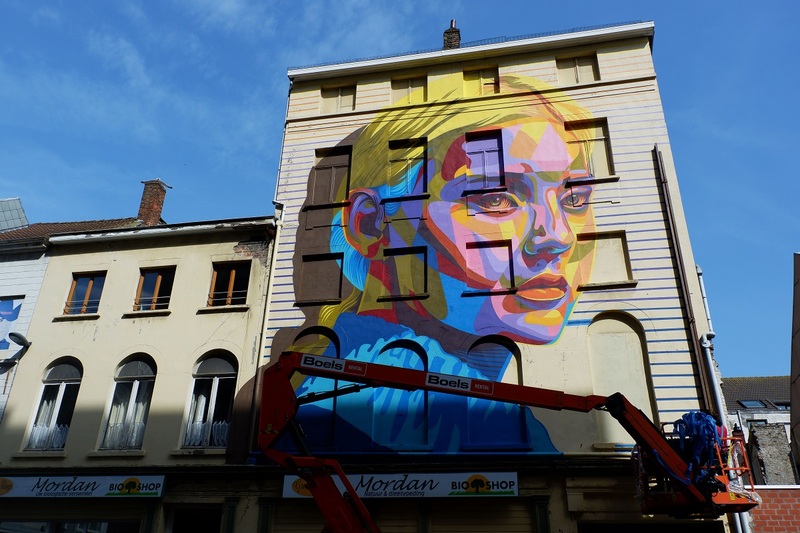 In Ostend the Argentinian artist painted the negative image of a woman, which requires a filter on the camera to be decrypted. 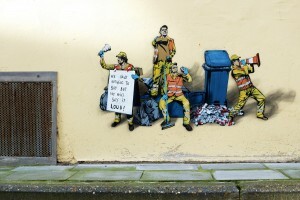 It wasn’t the first time that Francisco Bosoletti used this ultraviolet technique, which makes the mural standing out from the negative surroundings and demands the active participation of the viewers. Bosoletti’s series of negative images is also an invitation to see reality through different lens and to look at things in a positive way, getting rid of the black ‘filters’ imposed on us from society and the media. 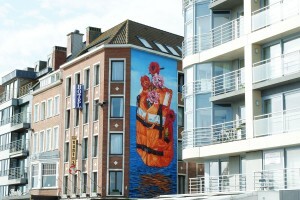 The lady portrayed in this large-scale mural is one of the ‘Children of War’, who came to Ostende to escape the Spanish Civil War leaving her family, which she never saw again. Through his negative technique, Bosoletti wanted to highlight a story that has marked the history of the city yet it is unseen by the naked eye. 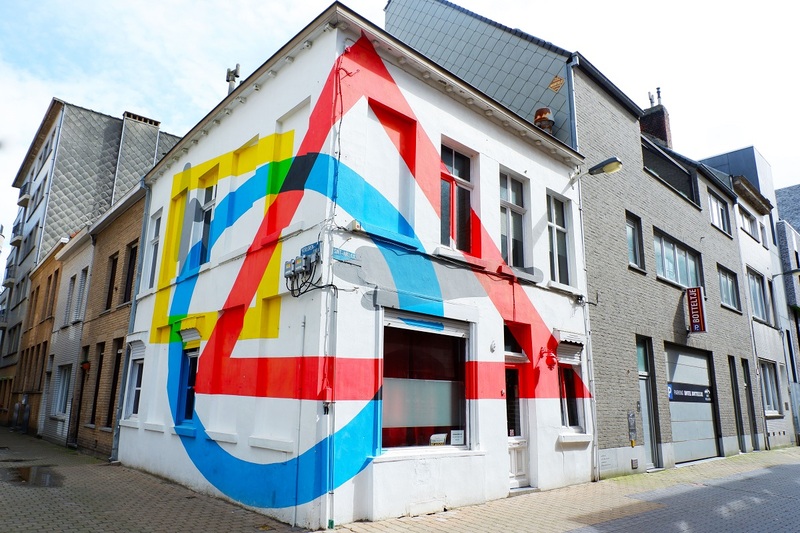 Opposite Bosoletti’s, the Argentinian artist Elian Chali realised one of his signature abstract minimalist piece. Painted on a corner, this composition is anamorphic: you are supposed to look at it from a specific point in the middle of the square. Standing on that point, you will see Elian’s bright coloured geometric figures (a circle, a square and a triangle) as if they were aligned on the same level, an optic illusion that changes your perception of the building. 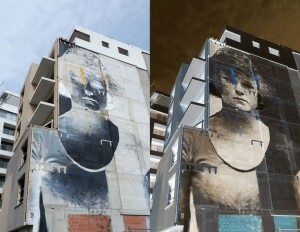 The aim of the artist is to start a dialogue between the viewers and the urban space surrounding them. Inspired by what he saw at the Ostend’s city museum, and more specifically by a picture of Ostend’s old coat of arm and the story of the three keys that he read in one of the books in the museum, the Puerto Rican artist Alexis Diaz painted this mural with his signature style, which is made of meticulous, free-hand tiny brush strokes, often monochromatic. Through his iconic technique, Alexis Diaz paints imaginative drawings full of details, obtaining realistic images of phantasmagorical animals and chimeric creatures. Here in Ostend, the artist imagined a new coat of arms for the city, in which he drew mermaids, seagulls and whales. 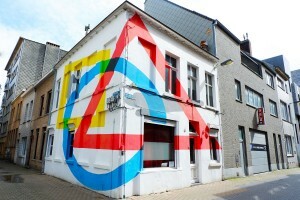 The Dourone art project began in 1999, as the pseudonym of the Spanish street artist Fabio Lopez Gonzalo. 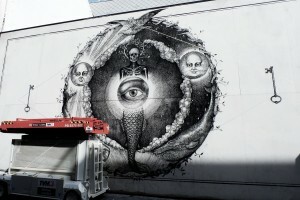 It became an artistic duo in 2012, when his girlfriend and artistic partner Elodiellol joined the project. 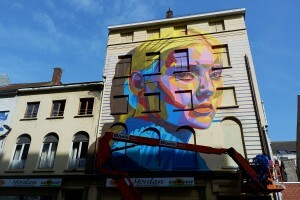 Their work is colourful and figurative, often depicting a female portrait. 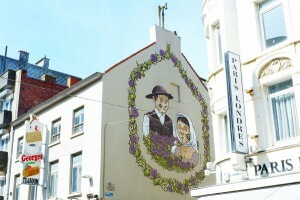 The portrait painted in Ostend was inspired by the peculiar structure of the wall, which is characterised by many blind windows. Specialised in painting surrealistic robotic characters, the Italian street artist depicted two portraits of medieval farmers, the image of a typical Flemish couple in historic costumes with Pixel Pancho’s iconic machine wheels in view. 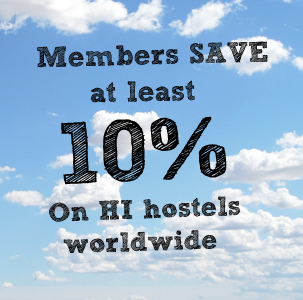 This article was originally published by the lovely people at VJH.